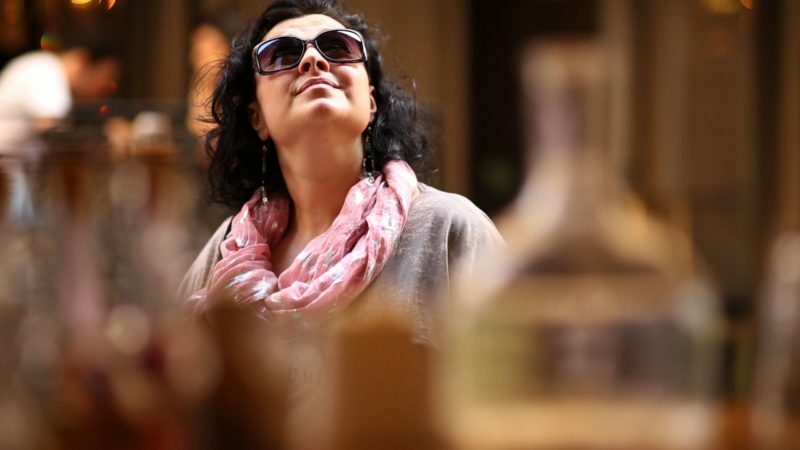 In the first few minutes of Zeynep Kılıç’s documentary film Tables of Istanbul (Sofra Sofra İstanbul), she recalls how, early in their relationship, her now husband, Wayne, joked that if they were ever to break up, he needed the rights to her red pepper paste. The rich, slightly spicy paste – a staple ingredient in Turkish cuisine and the supporting actor that often steals the show – has a way of seducing the palate. 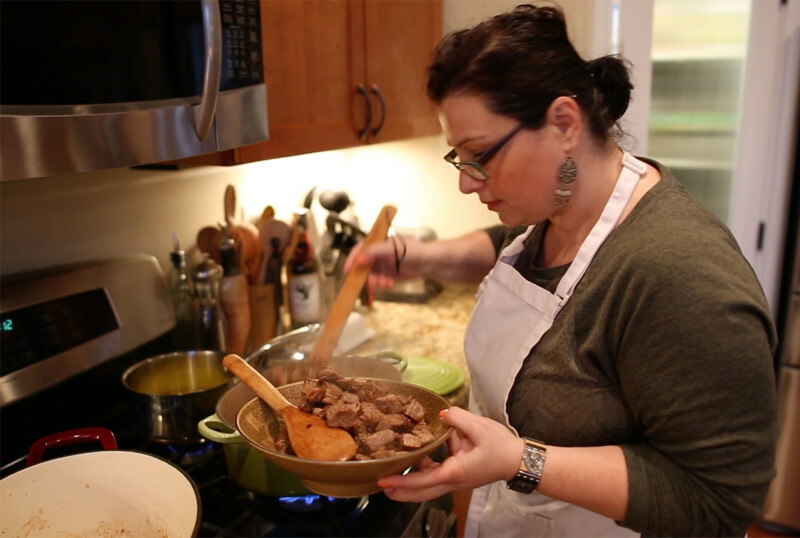 Tables of Istanbul represents an overlap of Kılıç’s professional work as a sociologist and her experience as an immigrant to the US who is passionate about cooking. Her main question in the film – ‘What is on the authentic Turkish table?’ – grew from her experience as a Turkish woman in the States, forging bonds with loved ones and reminiscing about her homeland over a dinner table full of Turkish dishes. Over the course of the film, her personal quest to better understand what comprises Turkish cuisine grows into a broader discussion of food production and consumption in Turkey, with a focus on its culinary heart, Istanbul. Using film as a medium was way outside of the academic’s comfort zone. So too was the personal nature of the project, which is firmly rooted in Kılıç’s own migration story. Yet both have their benefits. As Kılıç says, ‘Because food is such a universal topic, I wanted the project to reach as many people as possible.’ A short documentary film has the potential to reach a wider audience than, say, an article in an academic journal. 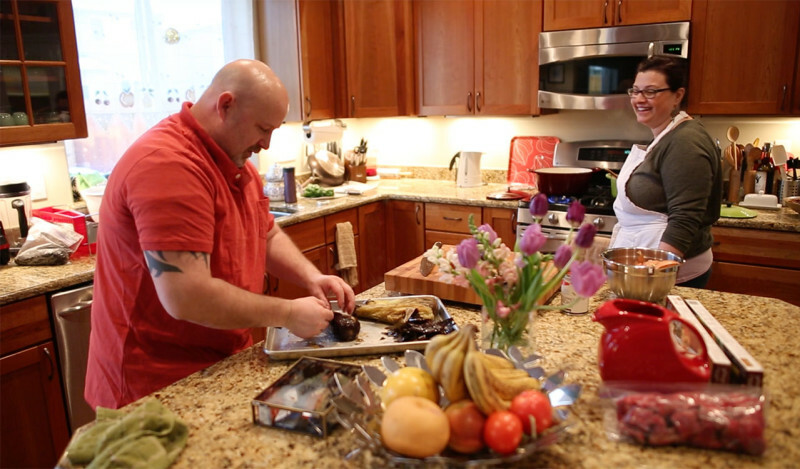 Plus, while Turkish cuisine is the focus, one of the film’s themes is food as it relates to immigration, something that she believes people the world over can identify with. The personal narrative grounds the film, providing necessary bookends to such a far-reaching investigation. In the opening shots, we get a glimpse of Kılıç’s life in Alaska – she relocated to the state for a much-coveted job in academia after completing her PhD in Arizona. Struggling to adjust to life in such a harsh climate, Kılıç wonders whether eating like a Turk in Alaska is absurd. This thought triggers a number of other considerations: that Kılıç’s Turkish identity becomes sharper in the kitchen; that the Turkish food she cooks for loved ones is her individual interpretation of the cuisine, influenced by her upbringing and taste; that maybe the idea of a ‘Turkish kitchen’ is just a jumble of clichés. This line of questioning brings her to Istanbul, a culinary centre throughout history and a melting pot that is home to migrants from Turkey and abroad. While Kılıç never lived in Istanbul, she views the city as a microcosm of Turkey and the place where discourse is set. On its face, her question about the nature of authentic Turkish food seems too sweeping to answer in an hour documentary, not to mention a bit hackneyed. Yet it proves a jumping-off point to explore various aspects of Turkish cuisine with some of the biggest names in the food world, from academics to chefs and activists, as well as home cooks and the families they feed. What Kılıç finds is that Turkish cuisine, at least in Istanbul, is intertwined with geography and class. 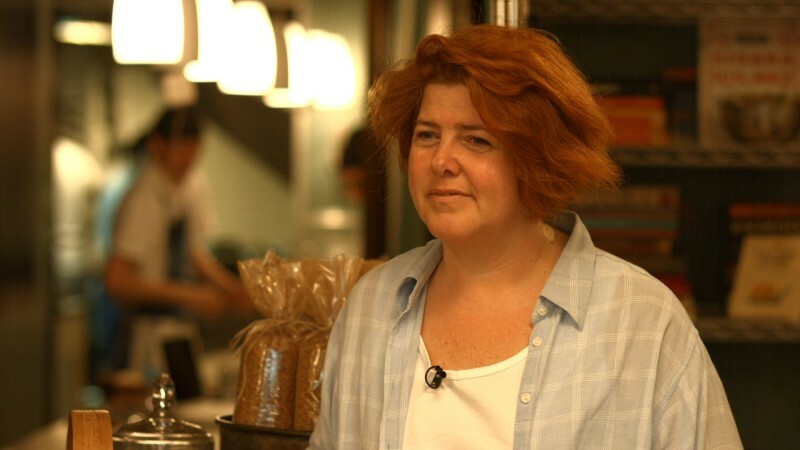 The experts she speaks to have different ideas – sometimes wildly so – on food in Istanbul, both past and present. That’s to be expected, as Kılıç tells me that she only wanted to talk to people who have a clear-cut point of view: ‘I wanted to learn and hear from them about their vision and their interpretation of what is going on in Istanbul today.’ She also breaks bread with families who migrated to Istanbul from Adıyaman and the Black Sea region, discussing food habits and their disinclination to try foods from different regions – it seems that everyone is looking for the tastes of home. Together, these snippets briefly touch on many issues related to food production and consumption, raising more questions than they answer. Yet this film isn’t about answers. Rather, it provides a snapshot of the current state of affairs of the Istanbul food scene; it reveals the breadth of Turkish cuisine; and it hints that there is much more to be discovered regarding the intersection of food, class and geography. When Kılıç began filming, she didn’t imagine it as a personal film – there were no plans for her to be in any shoots, or to include footage of her family. However, she eventually made the transition from having a question – as academics do – to crafting a story, and good that she did. 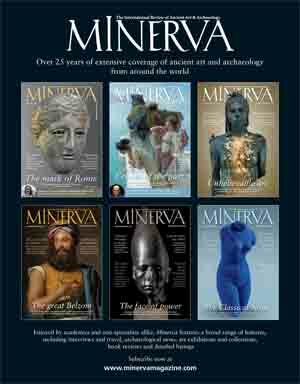 Her personal narrative weaves a thread through the wide range of topics and perspectives covered in the film. At times the scope still manages to feel too broad, like one of those Istanbul restaurants with a 20-page menu. Yet this demonstrates how much there is to explore on the subject, especially as it relates to social class more so than identity. Kılıç plans to release an academic book based on her research and, while we always love a good film about Istanbul, we can’t wait to see her plumb the depths of this subject. 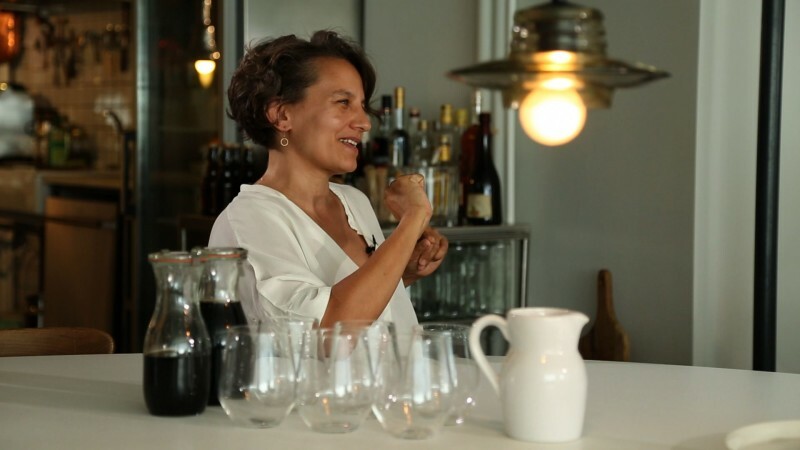 Zeynep Kılıç was able to make ‘Tables of Istanbul’ with the financial support of numerous institutions, including a grant from the Turkish Cultural Foundation. To learn more about future screenings and possible distribution, you can visit the film’s Facebook page and website. Click here to watch the trailer. 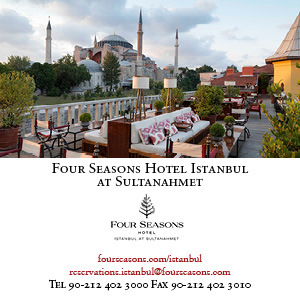 The main featured image is from Dârüzziyafe Restaurant in Istanbul. All photographs are from the film.